Parx Online™ is at it again! With over 25 different slots to choose from, Parx Online™ is adding even more to their selection. The developers announced, “Run and hide, because Night Survivor has clawed its way out of the earth and is heading for the VIP members at Parx Casino®!” Are you able to handle this zombie horror game? Night Survivor features the 5x3 reel layout cascaded with the zombie apocalyptic theme lined with brains, guns, axes, and the undead. While playing to win virtual money, zombies are on the attack in the intricately designed reels. With your adrenaline pumping to stay alive with each spin, there is a chance to win ten bonus free spins if they land on three or more protective crow totems within reels two, three, and four. If that’s not enough to get your blood rushing and you want higher stakes, play the gamble feature “Find the Lady.” Pick a card, any card- you get three chances, you uncover the Lady, you get the full amount of winnings. But, if you get the Jack, you only win 50%. Odds are on your side when playing, there’s never a chance to walk away empty handed. 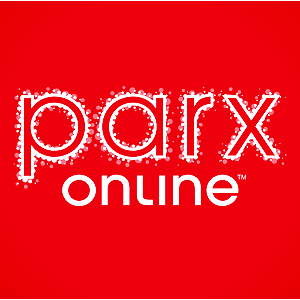 Download Parx Online™ today for free here for your Android. To enjoy more of what Parx Online™ has to offer, gain over $20,000 virtual credits and indulge in the VIP Games. Night Survivor is exclusively available now to Parx Online™ VIP members.